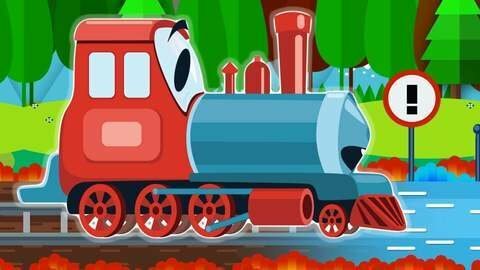 Watch our Trains fix railroad in Educational Cartoon! Little Train is pulling his friend along merrily when they run into a gap in the tracks. Luckily, they’re carrying railroad tracks and can nail them in so other trains can cross too! Then it starts snowing and a pile of snow blocks their path. Watch this cartoon to learn how to use different tools to get past obstacles.